Lovelorn Mumbai-based Gujarati jeweller Birju Salla, who created a hijack and bomb scare on a recent Mumbai-Delhi Jet Airways flight faces life imprisonment if convicted under the new law. 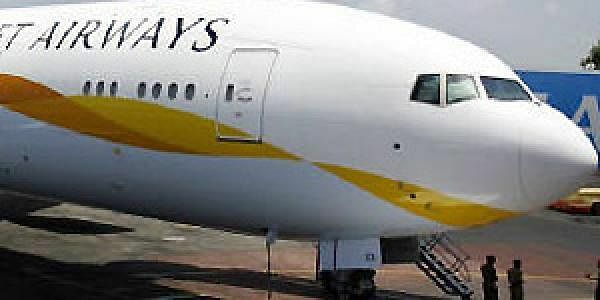 NEW DELHI: Lovelorn Mumbai-based Gujarati jeweller Birju Salla, who created a hijack and bomb scare on a recent Mumbai-Delhi Jet Airways flight due to his obsession with an employee of the airline, has become the first person in the country to be booked under the stringent Anti-Hijacking Law. Salla faces life imprisonment if convicted under the new law. Salla was arrested after he raised a false hijack alarm on an October 30 Mumbai-Delhi Jet Airways flight. He is accused of planting a terror threat letter in the toilet of the flight, warning of hijackers and a bomb on board. After Salla raised the alarm, the fight was diverted to Ahmedabad and was forced to make an emergency landing there. According to Ahmedabad police, Salla had planted the note with an intention to shut down Jet Airways because he was “in love” with an employee of the airline and he thought his act would make the woman jobless and force her to come to him for employment. Salla is a billionaire, who has an apartment in a posh locality of Mumbai and he runs a number of businesses, including property, bullion and even Gujarati snacks. Salla’s social media posts show him posing with several celebrities. After a preliminary probe, the investigators had said that Salla was a habitual offender. They had cited an earlier incident where Salla had carried a cockroach with him on a flight and blamed the airline for it. The new law, which became operational in July this year, prescribes capital punishment in the event of death of a person. For all other cases, the guilty is to be punished with life term and fine, besides confiscation of movable and immovable property held by him or her. The law includes several acts within the definition of hijacking, including making a threat, attempts or abetment to commit the offence.